By accelerating mud through a curved vessel, solids and mud are separated according to Stokes Law. These solids are passed over a screen to recover excess ﬂuid. Function The mud cleaner is a solids separation device that combines a desilter with a screen device. The mud cleaner removes solids using a two stage process. 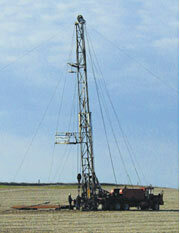 First, the drilling ﬂuid is processed by the desilter. Second, the discharge from the desilter is processed by a high-energy, ﬁne mesh shaker screen. This method of solids removal is recommended for muds containing signiﬁcant amounts of weighting materials or having expensive ﬂuid phases. Note: When recovering weight material with a mud cleaning system, be aware that any ﬁne solids that go through the cleaner’s screen are also retained in the mud. 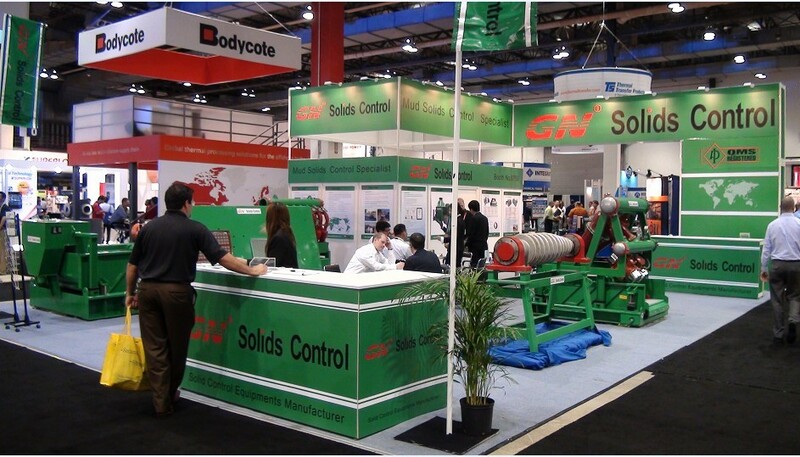 Over time, the process can lead to a ﬁne-solids build-up. Since the mud cleaner is both a hydrocyclone and a shaker, many of the operating guidelines listed for these devices apply to mud cleaners. A decrease in solids coming off the screen may indicate a torn screen, which should be replaced immediately. Plugged cones or large solids coming off the screen can imply a problem with the upstream shale shakers. The likely causes are bypassed screens, torn screens or dumping the shaker box into the active system. The desander cones on the mud cleaner should be 6 in. diameter or smaller. The median cuts of larger cones are too coarse to be useful. • The unit should be installed in such a way that access, both for monitoring and maintenance purposes is adequate. 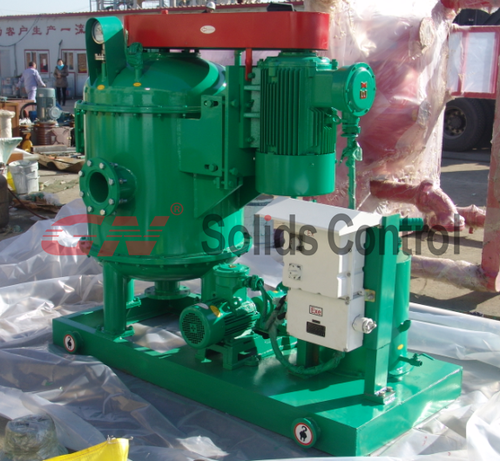 • It is extremely important that the centrifugal feed pump is correctly matched to whatever mud system is in use, so as to guarantee the correct feed pressure. • Impeller size and condition is critical to operational efﬁciency. Any found to have seriously washed blades should be replaced at the earliest opportunity. 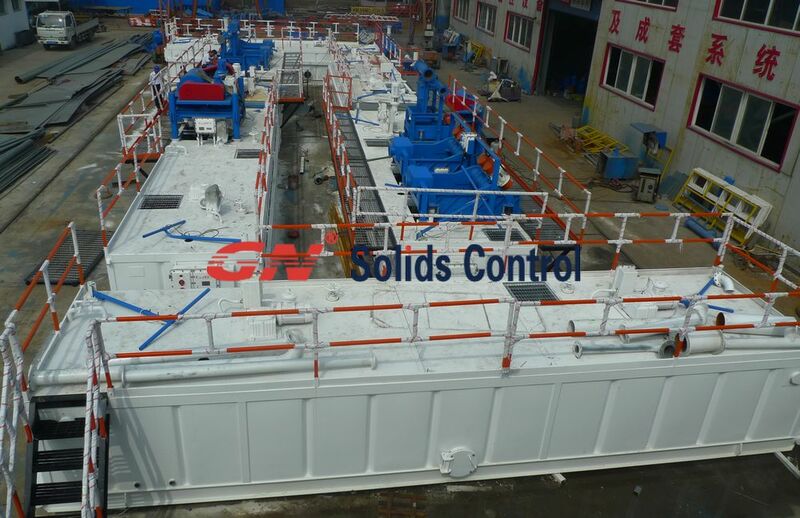 When supplier offer work over drilling rig mud system proposals, they may ignore a very important spec ,the mud flow inlet to shale shaker. The Mud Flow from work over Drilling rig always very low like 2.3m or 2m. In this case, they will need shale shaker inlet to be lower like 1.8m. How to make it workable as mud tank aways 1.6-2.4m high?